The annual Christmas card photo shoot. This is the first one I took. The dog swooped in, the 13 year old is not happy to be interrupted for this event. It only goes downhill from here. Get. The. Dog. Out. Of. Here. "Happy now? I'm even smiling." "My teeth are showing. Please stop taking pictures." Obviously, I had to use the first picture. Everett also paid bigtime by keeping me company while I went Christmas shopping that afternoon. I think next year he will be more tolerant of my family picture requests. Merry Christmas!! Sorry, I'm so late with posting this! For years I have struggled to make this time of year special. It is difficult to find a happy place between a complicated program and a fluffy one-time devotional. So, we do several things that work for our family. 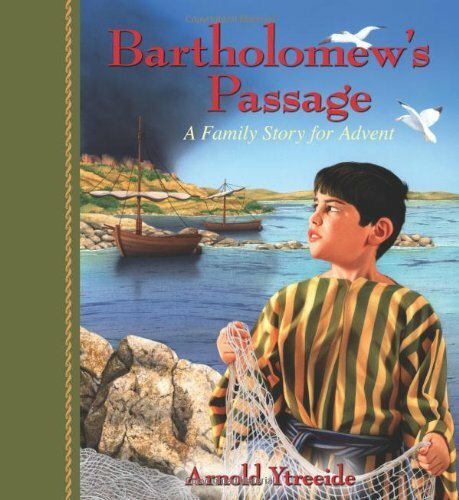 The first Sunday of Advent, we begin reading from this series by Arnold Ytreeide. 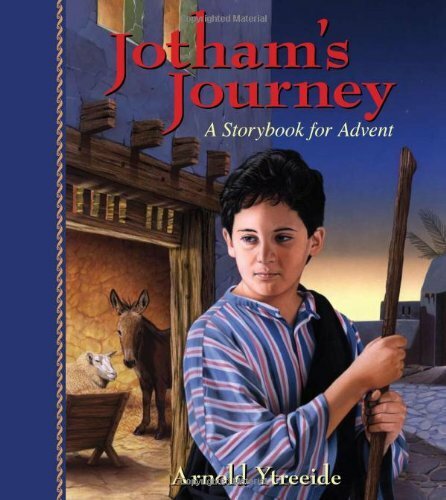 The stories begin with Jotham, then each year you can read the next in the series. 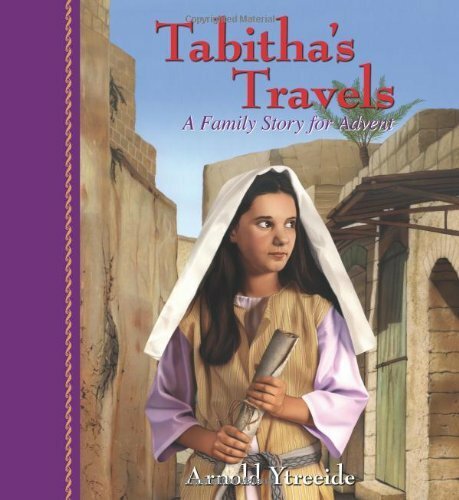 In each book, you follow the tragic events in the main character's life that lead them to the birth of the Messiah. Each day, there is an cliff-hanger chapter followed by a short advent reading. It sounds cheesy, but everyone in the family crowds onto the sofa and sits spellbound as I read the day's pages. I wouldn't suggest these books for young children, it would be over their heads. They also might be stressed with the perilous events in the books. We love them, and I love that it makes us sit still and think about what Advent means to us. 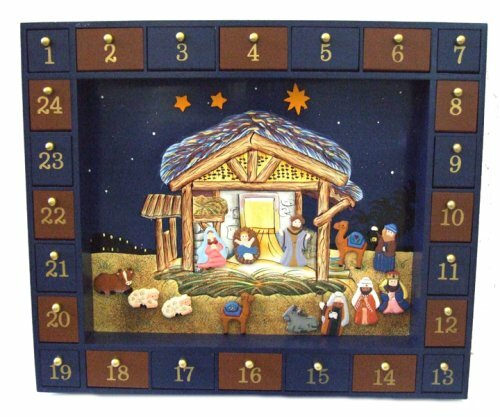 The other tradition we have is an advent calender. My mom bought it for us years ago. It is wood with magnetic pieces. As the month passes, the nativity scene is built, day by day. It doesn't matter that we open the little doors every year, or that I always put Jesus behind the 24th door. The biggest tradition is the celebration of "Jesus Day". This evolved over seven years ago. We wanted to do something that focused on Jesus and on serving others. We always find a service project to complete as a family. Over the years we have stuffed boxes for the military in Afghanistan, where my uncle was flying helicopters with the Marines. One year we made baby blankets for the local Women's Center. Last year, we sewed and delivered bags for walkers and wheelchairs for residents of the local nursing home. My mom sings hymns with them twice a month, and we join her the Monday before Christmas to sing Christmas Carols. This year, we baked cookies and treats to deliver to several fire and police stations on Christmas Day. The kids even got to tour the firehouse! We also found an organization that provides crafts and projects for children in the hospital. This was perfect for our large family. Our group ranged from under a year old to 83 years old. We also put on a family nativity play. I know, it sounds super cheesy, but it is one of those family traditions that will never end. When Everett was a precocious five year old, he wanted to direct the adults in a nativity play. Seeing as he was pretty cute, we all agreed. I still have visions of my 80 year old grandpa dressed up as an angel, complete with golden wings and a halo. As the families have grown, so has the play. This year we celebrated with a 22 member cast. It's not a serious event, but has been happening each Jesus Day for seven years. I love the holiday traditions, but its terribly important that you choose a few special events and let that be enough for your family. In my life, I am the ultimate in mom-guilt. During the holiday season, mom-guilt can peak at an all time high. In the world of Pinterest and Facebook, it's easy to look at the amazing things that other families are doing and feel like you aren't doing enough. I've been there! This year, in an effort to stay sane and healthy, I dialed things down. My kids didn't care that our annual 'homeschool Christmas party' turned into sledding and lunch with dear friends. It was fantastic! I hope this helps you out with a few ideas of simple things our family has done to celebrate this special time of year! As you focused on thankfulness for the past six days have you found people, things, or circumstances that are not easy for which to be thankful? Write out one or more circumstances or relationships for which you find it hard to give thanks. Express your thanks to God for His help and care in spite of your lack of comprehension of what the end will be. Tomorrow I'll post what we will be doing for Advent this year. I would love to hear what you do to make this time of year special for your family! "If tomorrow's supply depended on today's thanksgiving, how much would you have tomorrow?" Today put your thankfulness into action! Call, visit, or write some of the people you listed yesterday to express your appreciation for their influence in your life. Make a list of others who have blessed or touched your life. This may include pastors, teachers, friends, people at work, neighbors, or writers. Put a check mark by their name if or when you have let them know your appreciation for them. I am a firm believer in the beauty of sending cards. I delight in receiving them and sending them. It seems that God brings a special note from a friend when I most desperately need it. If you can't call or sit over coffee with someone from this list, send them a card. Express your gratitude for family members. Make a list of each immediate member and next to their name write a quality in them for which you are particularly grateful. Take time to thank God for each member of your family and pick at least one from your list to whom you can express gratitude today, either in person, by phone, or other means. Do not confine your thankfulness only to those who are easy to love or to communicate with, and do not have unrealistic expectations of their response to you. I hope you enjoyed reading through Colossians! I'm feeling more thankful already! As my family crawls through the attic to bring down our Christmas decorations, I'm hiding so I can post day two for you! Take time to identify the specific benefits you have received from God and others. List the material and spiritual benefits you have received. Make a list of these blessings and thank God for each item on the list. Read Ephesians 1 to remind you of some spiritual blessings. When I hear those words, I immediately conjure up images of turkeys, pies, and potatoes. I wish my first thoughts were thankful ones. Instead, it's all about the food. It's about food just as Christmas is about presents. One year I tried to buck the system. I was in my late college years, very idealistic and trying to change the world. I arrived home for Thanksgiving break with a radical offer. "How about we fast on Thanksgiving day and send the money we would have spent to a missions work?" I eagerly spouted. Silence. A few eyes rolled. It was too much. I can't remember the outcome of the day. I believe we skipped breakfast...but we certainly didn't spend the day hungry. I understand now, everyone anticipated the traditional meal and my crazy idea a few days before the big holiday was too much. Over a decade later, I wish I could do something to make our Thanksgiving day more than a blur of baking and pigging out. The gorging is the appropriate grand opening for the Christmas season, which has become it's own gorging of sorts. Tragedy. Raising five children has made the burden weigh heavily on my heart. I grasp at any idea to make our holidays more...serene...family focused...Christ-centered. I would love your ideas--what does your family do to make Thanksgiving special? This summer I met my own insecurities. Writing about it sends shivers down my spine and makes me feel queasy. I tend to overbook myself. That is an understatement. I have a hard time cannot say no. I don't even need to be asked for help, I just offer. I hear the words coming from my mouth and think about how I shouldn't be saying it, but I can't help myself! Label me as codependent or weak, but I have always preferred the word 'compassionate'. I heard an old pastor say, "Cram a quart of activity into a pint of time". That would be a fitting motto for my life. If it's at all possible, I'll make it happen. After 36 years of living a life like that, this summer it caught up with me. Pulling onto the interstate with my children in tow, my van packed to the gills for a camping trip, and husband out of town, I finally felt like I could breath. I had exchanged breakfast for three cups of coffee while furiously packing and corralling the dog and children. The kids were ecstatic about the week ahead, yet I was pensive. I had three days of mandatory training scheduled for the end of the week. I also had two dear friends that planned a camping trip--moms and kids only--for the week. Mistakenly, I thought training was close to the campground and gave a hearty "yes" to all activities. Then I realized that the training was an hour and a half away from our campsite. Enter my go-to reaction, I can't let anyone down so I'll run crazy and make it all work. But, for the first time in my life, I felt uneasy. I guess it was a warning. It was there that I found myself driving on a beautiful morning to meet my sweet friends and their kids for a relaxing week of camping. I decided to call another friend about our upcoming trip to New England, just as I merged into traffic. I believe I was speaking quickly, and running solely on caffeine, when she said, "I can't even understand you." Right then, the truck in front of me seemed to balloon out, like a bubble, my ears started ringing, and I hung up the phone. I was on a bridge, which always strikes terror into my soul, and white knuckling the wheel, praying that we could find somewhere to pull over. My mind wasn't right. I survived that week. I wasn't sleeping. I wasn't eating. During the training one day, we had tornado warnings and had to seek shelter in the halls along with all of the children. The next day, Josiah cracked his head open during lunch, blood seeping from the gash, and I barely held it together. But for all appearances, I was fine. So calm, "Wow, look at Apryl, she's rock solid. Her kid just cracked his head open and she's just chill about it." I lost seven pounds that week. After I got home, I kept thinking that I needed sleep. I had worn myself out. But the headaches and ear ringing...I called my doctor. He was very concerned and ran tests. All turned out fine. Then he asked if perhaps I had 'burned out'. To which I replied, "What would that look like?" And, why in the world would I 'burn out' now? At this time last year, I was planning a trip to Ethiopia, collecting blankets to bring, organizing a statewide reunion for our adoption agency, beginning a new curriculum, and teaching courses using that curriculum to families paying me. This year doesn't come close to what I was going through last year. I guess. My doctor made me hyperventilate and that was exactly what I was experiencing during these 'stressful' times. It's as if my mind felt fine, but my body knows the truth. My breathing altered a little and then I began to experience the symptoms of hyperventilation. My mind would race and suddenly even the simple things in life seemed impossible. This would be me falling off of the pedestal on which I'm sitting. I'm not even falling gracefully. I'm head first-wailing-arms swinging-cracking my forehead on the linoleum-falling. This is reality hitting me hard. God showing me that I can't do everything. I shouldn't do everything, because that makes a person proud. Hearing compliments often enough, and even I was convinced I had super powers. But superwoman didn't need God, and I really do. No other lesson has been so brutal. God used foolish, weak things to confound me. I felt wise and mighty, most of the time. Now, I don't. 1 Corinthians 1:29 is where I am now. "That no flesh should glory in his presence". Keeping myself in check, because this life, the reality that Apryl lives in now, isn't possible without the strength of God. Humility is a hard lesson. But, this is my new reality. I am not a superhero. I'm not even a mildly successful woman, unless I'm asking God for help. I can't fix everything that is broken in this world, I can't even fix what's broken in my own house. And I need to be okay with that. I've been stripped completely bare, and He's building me up slowly with a better foundation than before. A true reality, knowledge that everything that is done in my life is done by Him. As Paul wrote, "His strength is made perfect in weakness." I am now weaker than I have ever been before, yet I experience the strength of God more than ever before. The hair saga. For the past five years it's been a constant presence. A task that required scheduling. Daily maintenance and then an entire evening for a new 'do. And the drama. Dear me, the drama! The "You are pulling too hard", "Can't you straighten it? ", and finally, the always dramatic final sigh after seeing the finished product. Never pleased with the curly gift with which God has blessed her. Never. I'm not much better--too thin, too straight, too wispy...but this isn't about me, is it? Dear hubby has been a bystander for all of these years. He's watched the dramatic hair dos unfold. He's had to manage things on his own when I've been out of town. He's made frantic phone calls after a night without the sleep cap, "The kids and I have a picnic with my boss and this hair is a mess!" A few years ago he started in on, "Cut it short. It was so cute. Your life will be easier. She will look great." I ignored him. So did she. Neither of us thought it would be a good idea. I, personally, was afraid of how other moms would judge me. Incapable of doing my daughter's hair equals incapable of raising my children properly. I'm serious. I never thought hair would play any role in the relationship I have with my children. That was years ago. We were in the middle of a domestic adoption. We had a birth mom who was interested in our family--we were thrilled. On a phone interview she asked about hair. Seth finally answered, "We will figure something out. It's not like we will let our child walk around without their hair being taken care of." And that was the last we heard from her. We were so clueless. I was flabbergasted that hair was actually a big deal. Like, duh, wash it, dry it, braid it. How hard is that? I have three sisters. I've done hair. Yeah, right. I was clueless. After we brought Sally home, I checked out every book on African American hair from the library. I bought cheap products. I bought expensive products. I listened to the lady in the elevator who suggested one shampoo and then changed when the hair blog I read said to try something else. I was all over the place. So was her hair. Recently, we've got it under control. There were still days that she left the house looking like Don King. Usually, she looked pretty good. Then a few days would pass and she wouldn't put coconut oil on her hair and the braids would get frizzy. I'd undo them and put in twists, which she hates. Then we would undo those and wash. The bathroom would look like an afro exploded from all of the hair everywhere. Nuts. One night, late, I needed to wash her hair and Seth brought up The Cut again. His coworker 'looks great' with this short style. He brought up some pictures on Google. I was won over and, oddly, so was Sally. I could have knitted a king sized quilt from the amount of hair we cut. Wow. She looks beautiful. I'm biased, but I think this little trim was a success in every way. The saga with my teeth began when I was nine. I vividly remember sitting in the dentist chair as they prepped the instruments for my first filling. That huge, ugly, silver filling stayed with me for ages. A crown now graces the cap of that molar. An expensive crown. My husband, on the other hand, got his first cavity in his thirties. He started drinking tea with honey and had four little pinpricks of decay on his back molars. He was devastated. Welcome to my world. Except I live in a more devastating world of decay. My teeth are riddled with rot. I brush twice a day and try to remember to floss every night. I use mouthwash. My last dentist remarked that it's just genetics. With that, I resigned to living a life of high dental bills eventually ending with dentures. Until recently. My neighbor shared a blog post with me after I casually mentioned the bad news I received at my latest dental appointment (I need two fillings and a CROWN). It's about healing your teeth. Skeptical, but overly optimistic, I nearly shoved her to the ground in excitement. I have a tendency to get physical when my enthusiasm bubbles over. Seth flinches often when I'm excited. It's 6 am. Laying in a cool room I remember that we are vacationing at the beach. Just Seth and me. I hear him snoring and know he's still traipsing through the Land of Nod. If I hold my breath I can barely make out the rushing sound of the waves. Our room sits on the beach and the anticipation of our last day causes me to slip from the bed. Peeking onto our balcony, I see the sky is still black inkiness. The moon is full and bright but remains the only light in the dark sky. I dwadle a little, trying to let the time pass so Seth can sleep in. When I can't bear it any longer, I pull back the curtains again and see the thin gray line along the horizon. Fearing I will miss my last sunrise at the beach, I grab Seth's arm and he jolts awake. I feel like two year old Elijah, who used to wake us up in the wee hours of the morning with a tug on my arm and exclaim, "Sun's up!" "The sun is coming, let's hurry!" I urge. Wordlessly, he dresses and numbly follows me outside to the sand. He's tired, sleep in his eyes, and the imprint of a pillowcase on his cheek. Nevertheless, he smiles and makes a goofy remark, punctuated by singing, "I like staying up late and you like waking up early." I love that night owl who crawls out of bed to watch a cloudy sunrise just for me. A teenager lives in our house. Writing that gives me a shiver. Delight and dread. Watching the transition from child to teen is thrilling. Around here, that transition has been punctuated with eating, eating, more eating, and occasionally choosing to hang out with adults instead of running amuck with kids. My sister called me and almost hung up when she heard an unrecognizable, deep voice. That deep voice and his sudden growth (I'm tenaciously holding one inch over his head) caused him incredible frustration this summer. We traveled to Connecticut to visit friends and family. My kids were anticipating loads of squeezing and snuggles with their far flung cousins. When my 2 year old niece saw Everett, she cried. When he dared touch her, her lips curled and she wailed. She adored the girls, tolerated Josiah, and warmed up to Elijah. Everett...he was too much like a scary, unknown, man for her. After a week of begging, she finally gave him the coveted hug. She threw in a snotty kiss and walked away. Everett, wiping his check, remarked, with a good natured smirk, "Well, that was slimier than I expected." I hesitate to make this statement. But here goes...Thirteen is easier than I expected. I have enjoyed Everett's company lately. Loved it. Mostly. I think he gets life more than ever before. When I'm flustered, he sees it and gives me a hand. He's independent in his school work, able to come to me for help or to discuss a point, but doesn't need me to nag him. He still has his moments, don't dare try to interrupt him in the middle of a good read (or even a mediocre one). He turns into a roaring lion. Just like his dad. But, I figured that guy out years ago. Since the apple can't fall too far from the tree, I think I might have my 13 year old figured out too. I might delete this post in a few years to avoid being called a liar. It is with joy and despair that I greet you each fall. The new books and unsharpened pencils hold a year of promises. The famliar math and spelling send me into a dark cloud of worry. Everything I love, I also hate. The structure of our days is amazing after a summer of, "What will we do todays?" The structure of our days is an impossible burden when all I want to do is sit in the sun with a book. I adore the work of teaching our children, for watching them master a new concept is the salary I earn. All of that teaching, goes without wages as a blank stare meets my eyes after even four or five attempts at explaning factions. What I'd give for a day at the beach! Most days though, are bright and I catch glimpses of my eldest helping his brother. The girls work together and encourage rather than bicker. Our youngest, instead of hiding in the backyard to fight imaginary foes, comes ready to work with his stack of books. Those other days are laced with sour attitudes, bitter words, and lazy dispositions. Why, oh why, are those the days that come to my mind when I say the word, "school"? I started this post ages ago. After spring break, to be precise. I am usually careful to document our adventures, local or far flung. I guess I have a unfounded fear that one day one of the kids will accuse me of never doing anything with them. Unfounded fear. So, I'm a picture taker, rarely doing anything with the pictures, but they are proof that we did some crazy things. And some normal things, like taking a spring break. Albeit, just down to visit the Grandparents, but we had fun. The first root beer float of the season, first bonfire, an Easter sunrise service followed by breakfast at church...and the final game of touch football, or any football for that matter, for my father-in-law. What started out as role of coach and permanent quarterback morphed into broken ribs and months of recovery. Before you ask, it was not Josiah's fault, though that is a plausible line of thinking. Evidently, two hand touch can get pretty exciting. Carried away in the moment, Papop decided to run the ball instead of passing it. I saw him from the corner of my eye as he flew parallel to the ground still clutching the football. He landed and didn't get up. Thankfully, it wasn't worse, but from now on he will be enjoying all football games from the stands. This post's for you Papop! He needed a shoeshine. Rather, he needed to learn to shine his own boots. It shouldn't amount to much, but it was eloquent. Me, busy at the stove, scrambling to get dinner for seven on the table. Four younger siblings flitting here and there. I turned and glimpsed the two of them, father and son, on the floor shining a pair of boots. I eagerly watch as he grows, but I want him to stay young. He's still my chubby two year old, the one who spends his days alone with me. My little buddy. Then, I blink and he's shining his combat boots with dad, getting a uniform ready for his weekly meeting. "One of the Brown girls had her hair in a heart braid at class on Friday," she says with an accusing smirk. I'm up to my elbows in coconut oil and hair. It's washing day and we have already had an issue. I washed and began drying using the hair dryer. Which caused pouting and tears from her, anger and frustration from me. All because she wanted me to use the flat iron to straighten her hair. Her wet hair...with a flat iron. She couldn't see that her hair was being straightened with the brush and hair dryer. So she pouted and shrugged and pulled against the brush. I reacted. I turned her to face the mirror and her glare softened. She apologized and I continued brushing. Letting my hidden anger out with a sigh. She barbs me with her comment just as I finish drying her hair. It's glowing and soft, perfect for braiding. I tell her as much, then she follows with her comment. Supposed to be an offhanded remark, but I read into it. I grunt. Because, I just spent an hour on your hair and now, I think, you are going to try to make me feel bad. She doesn't disappoint me, as she follows up her comment with, "Heart braids are probably too hard for you. It would be impossible for me to have one." Oh, here we go, try to manipulate me! Are you daring me to braid your hair into a heart? Funny. Bonding over hair. It always starts with contention. As I work the coconut oil into her hair, our hearts soften too. This heart braid, she thinks I can't do it. And I accept her challenge, just to prove my worthiness. I always feel this way around our youngest daughter. A complicated relationship that makes both of us so insecure. She puts me in a place in order to prove myself capable of raising her. I. Am. The. Adult. Said with a foot stomp. We talk about this heart braid for a minute and agree that it's worth a try. She cranes her neck and I braid as quickly as I can. The braid begins to take shape and she chatters happily as I listen. When it's nearly done, I show her my handiwork and she's delighted. I'm delighted. We share a victory. So much more than just a braid. Dear me, what will we do when she begins to do her own hair? Or the salon? She'll fall in love with another woman! The stream running along the Kind Hearts property is infamous around our house. My husband, being the marine scientist turned Coast Guard marine safety guy, was mortified to hear that a tannery and alcohol factory were dumping into a water source. My family gave a whole hearted 'tsk, tsk' the first year I came home with pictures of the swampy, murky, foul water. Last year the water project was well underway and we were relieved to see the children receive clean water. That was expected. Money was raised, plans were made, well was drilled, and water was provided. It wasn't as easy as it sounds, but expected nonetheless. So, this year as we strolled down to see the pump on the property, I was surprised to hear that we were going to see the new water point provided just off site for the village. I vaguely remembered hearing that they would be able to provide water, as a ministry, to the surrounding village, but it was forgotten in all of the other excitement. We held our breath as we scrambled over the stream-of-death and climbed up the small ravine to a dirt road. As we stepped out of the eucalyptus trees, we were greeted by a small crowd of villagers. They were waiting. For us. I feel confused often during our time in Ethiopia. Language, culture, life...it's confusing sometimes. This group knew we were taking this tour and got together to thank us. Complete with a coffee ceremony and speech. An unforgettable moment and completely unexpected. It's the ripple that everyone talks about. Make a change somewhere and it has far reaching effects. We raised money to get clean water for the kids. Since the water was there, clean water was provided for the village. The village women were walking miles each day with jugs to get clean water from the nearest water point. Usually, if a child was in the family, the chore would fall to them. A chore that would require most of the day, walking miles to the water point, then lugging a jug full of gallons of water back home. Imagine the freedom and delight when this water point began functioning! Their long line of jugs waiting to be filled was beautiful. So my big take away from this trip? I love, love, love the children. I adore visiting friends at the carepoints and delight in spending hours with the Hopechest staff. Those are the reasons I love going on the trip. I expect those things. But seeing a group of women whose lives have been radically changed because of the work at the carepoint? Totally unexpected. This is my third attempt to share this wonderful news. Instead of being eloquent, I'm just going to blurt it out: The fundraising goals have been met and exceeded! Plans are being finalized and soon there will be new school buildings on the property at Kind Hearts. In November, we toured the property. We have taken this tour each year. It offers new visitors a chance to see all of the rooms and land that make up the Kind Hearts school. It also gives those of us who have visited before the opportunity to see changes that have been made. We did the usual touring, but I was poking around thinking of everyone back at home. I really wanted to show you the lack of desks in each of the brightly painted classrooms. I wanted you to see the little plastic chairs that are a hot commodity as children squeeze around the scant tables in the existing classrooms. I wanted you to see the dark storage room turned classroom that has allowed dozens of children to attend class without waiting for the new buildings to be completed. As I poked my head into this storage room, I pulled the door off of its hinges, and had to get help from a friend to get it propped back up. These kids really need new classrooms! My purpose on this tour was to share it with you. Now, we got the news that the fundraising is complete. There is enough for the buildings and for new desks! This is a project that will make a difference in the lives of the children at the care point AND the children who have yet to be enrolled. I took these pictures during our hand print project time. Crowded rooms, which are overcrowded because we have the kids in larger than normal groups, mean that some kids just get comfy on the floor. The existing classrooms are bright and cheerful. Plans are to duplicate the existing building, adding four new rooms! Karen has children who are waiting for sponsors. If you think you would be interested in investing in the future of a child, contact her. Seeing their changed lives is worth far more than $34 a month. Your sponsorship provides more than just an education. It gives each child hope. If you've been around for a while you know that five times a year I lose my mind. Five birthday bashes that have to blow my children away. It puts me into a frenzy. First figuring out what to do, then how to do it within reasonable limits (ie. no pony rides in the backyard and NO, I'm not hiring entertainment). This year, we had no plan for Elijah. Poor guy, he suffers since his birthday is just a week after Christmas. We barely recover from the holidays before we remember that his birthday is...well, tomorrow. The two big boys got a CSI science set from my parents for Christmas. It got me thinking about parties and science. Two words that shouldn't be used together in a sentence, but I am a nerdy science lover. We chatted it up a bit and decided to investigate CSI parties. Unfortunately, I kept finding non-murder mystery parties for kids. Those sounded uber cool to me--see previous nerdy remark as explanation. That literary, character based fodder falls into Everett's realm. Elijah would be frozen in terror if we gave him a script and told him to 'act like this character' with a group of friends. Probably not a good idea for his birthday party. I happened upon this little gem. A download for $19. Most of the work done, but still requiring hours of detail planning. I loved that the kids were working things out to solve the crime. I was nervous about the gruesome factor. I took it a little farther by sending id badges along with invitations. We made up funny names like "Rob Bersnatcher" and "Bea A. Heerow". I did speak to every mom before the party, explaining that my husband was going to be 'dead' and they would investigate his murder. They had six different stations to visit trying to decipher hidden messages, match DNA evidence, footprints, and fingerprints. They had a blast, competing on teams of detectives trying to be the ones to solve the crime and win the prize. My mom and her team working on morgue information. Too bad they discovered that she was actually the murderer! I'm naturally worried and overly sensitive to exposing kids to things that are scary. This party put me on edge. I didn't have anything to worry about but my own child! Josiah took one look at Seth (whom I had "bludgeoned" as he was at an art easel in the basement) and touched his head, then pointed at him and said, "Is he, the blood, is he..." I guess the red paint and fake wound were a little much for him to see on his own father. He did refuse to visit the 'morgue' and check out the morgue photos (I had to bludgeon Seth the night before and take morgue shots for the party). That said, view the next photo with caution. Notice his hand covering his mouth, he knew he would smile or laugh as the kids chatted about the crime scene. I'm ashamed to see that it has been over a month since I last posted. Terribly shameful of me. I should begin by saying, "Merry Christmas" and "Happy New Year". Instead of chronicling a long list of things that have kept me from writing, I started thinking about what I am doing. Five children. Five different learning styles. Five different levels for math and reading. Memory work and science experiments. Geography...phonics. We just finished our day and the clock reads 3:51! It seems like we just finished lunch. So, the day is mostly gone, and I don't have a plan for dinner. The guilt of not blogging has pulled me to sit down and write. The dreary, frigid weather has kept me from running, so I don't have a long list of posts from which to draw ideas. I desired, mainly, to stop and say, "I'm still here." The quiet reading time has ended for the five year old, as he's reading over my shoulder. I suppose that means my writing time is over too.